Not every painting need such an intense background as this. Bold black. It speaks so much. It enhances everything, particularly the folds on the thick curtain and layered fabric that wraps and presents her. 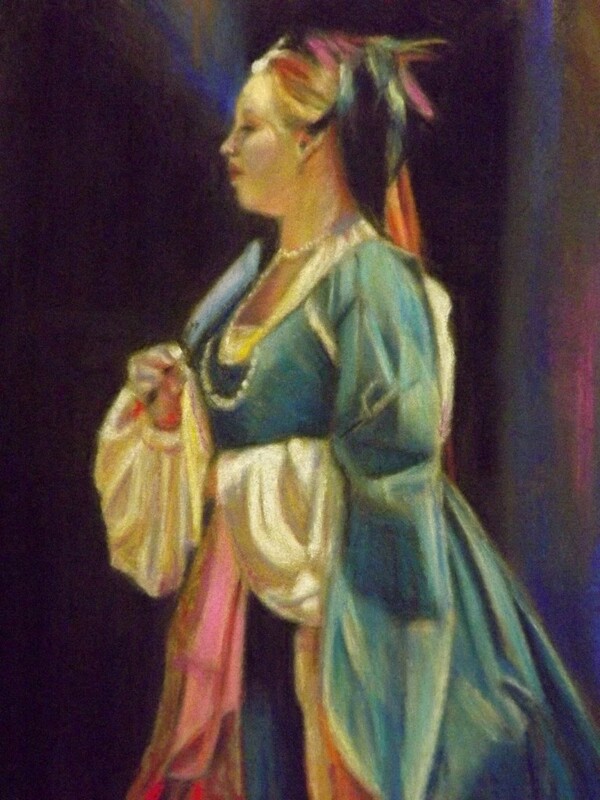 I provided subtle balance of colors, blue on both sides of the soft expression and pink cloth being held balanced with the feathers on her head.